STRV is an international software design and engineering agency specializing in mobile apps and web solutions. Since its founding in 2004, the company expanded considerably and continues to do so. Most of their 200 employees in San Francisco, L.A., New York, Prague and Brno are software engineers and designers. More and more, wider and wiser - the fields of Artificial Intelligence and automation with technology spread their wings into many different areas and industries. Especially when it comes to the process of recruitment and hiring, there are many tasks and processes that can be done more efficiently and effectively by automating repetitive tasks with technology. 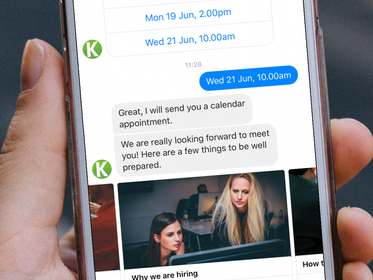 Three months ago, STRV started to implement a chatbot with jobpal. To be on the A-list of the early adopters with implementing a chatbot to their services and gain the advantages of this software, STRV’s Head of People, Matej Matolin, decided to implement and train a chatbot with jobpal’s technology. The idea originated when STRV wanted to have automatic and immediate assistance replying to common questions jobseekers and candidates frequently had. While there is an obvious trend and movement towards automation in recruiting and recruiting technologies, people still want relationships and a human touch in recruiting, Matej Matolin explained. The point is that at least half of the whole recruiting process consists of repetitive tasks that are either not personal (scheduling interviews, screening applications, transfer information) or not adding value. The most logical approach here was to deploy a chatbot. “The real interaction with candidates, for example the interview, is the smaller part of all this, so if the impersonal routine can be replaced by technology - that would be awesome. We don’t have to waste time on non hiring things anymore!”, Matej points out. For Matej, there are three main reasons why chatbots in general and jobpal’s technology are so attractive and fascinating to STRV. Be different, be unusual, be individual and modern when it comes to technologies, use cases and recruiting. Another big advantage STRV sees in chatbots is FAQ automation. Especially for developers, it takes some time to decide about the next employer. Matej knows that the people working in that field need a lot of information and are really demanding - so chatbots offer them very easy access to all information they need to get to know the company better and to explore if both company and candidate fit together. The candidate experience and engagement here is an important point that profits from the chatbot conversations as well. While a chatbot promises valuable results, it is not a plug-and-play solution (yet). Matej Matolin personally “trained and educated” STRV’s chatbot. Same as with humans. For a medium sized company like STRV, it wasn’t that complicated to compile the content for the chatbots answers. Additionally, you can as well choose how the tonality, style of the language and chatbot’s conversation with the candidates should be, which makes it personal. It all started with the articles about chatbots Matej was posting on his blog. He met Luc Dudler, founder and CEO of jobpal, while contacting different chatbot providers to interview for his blog. All in all, the main reasons for STRV to choose jobpal as a vendor and partner were speed, readiness, simplicity and the ease of use of their solution. That was a concrete success for STRV’s recruiter, even if he is convinced that people still have to familiarise talking to a chatbot and not being surprised or suspicious by immediately getting the right answer. 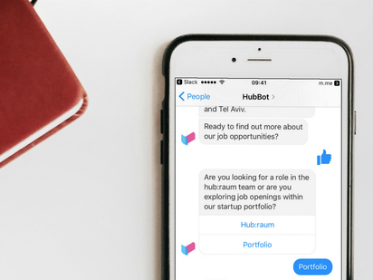 For international companies like STRV, the 24/7 availability of the chatbot, and therefore the possibility for candidates to ask questions outside of the office hours, in any time zone and country, is a striking factor. Prolonged conversations with candidates because of different time zones are not a problem anymore. Saving time is the point and advantage here. Partnering with jobpal and implementing their software without any specific expectation or use case, STRV was indeed able achieve their goals: Trying out a new and modern technology - without complications or a big loss of time - that can automate tasks quickly and at the same time improve their candidate experience. Additionally, STRV emphasizes on the really helpful and professional business relationship with jobpal. Ready to enhance your recruiting process?